Empire Is Increasing Security After Jussie Smollett Attack Left EP Danny Strong "Sucker Punched"
Empire is making a few security changes in the wake of Jussie Smollett's attack. Smollett was attacked while walking in Chicago on January 29 by assailants who put a rope around his neck, poured an unknown substance on him, and allegedly yelled "This is MAGA country." 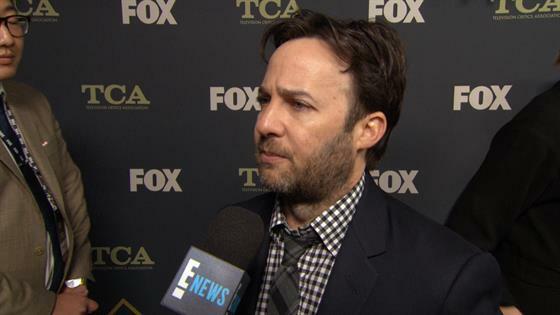 Empire executive producer Danny Strong tells E! News that he cried when he found out. "It sucker punched me in a way, and I actually started crying, which is not normal behavior for me," Strong told us ahead of Fox's TV Critics Association press tour party. "I just called him immediately and left him a long message of support." Strong says there will be new measures in place to protect all of the actors on the show. "We absolutely have increased security," he says. "I mean that's the number one priority is increasing security for everyone, for our cast, our crew, for Jussie. We want everyone to feel safe as they should." During a TCA drama panel on Wednesday, Strong and fellow EP Brett Mahoney said Smollett is back at work. "I mean, the attack on Jussie, because he is such a beloved member of our family, hurt us all very hard. But Jussie is a proud gay black man and I don't know whether the cowards who attacked him were trying to beat the gay, the black, or the pride out of him, but that's impossible, because he's strong, and so we're happy that he is back at work and he's happy to be back at work." Smollett was also already back on stage Saturday for a show at LA's The Troubadour, and he spoke out about the attack. "I am not fully healed yet, but I'm going to, and I'm gonna stand strong with ya'll," he said. "I had to be here tonight, y'all. I couldn't let those motherf--kers win. So I will always stand for love. I will never stand for anything other than that. Regardless of what anyone else says, I will only stand for love and I hope that you all stand with me." "He was incredibly defiant, and really inspiring and said some beautiful things about love, and that's who he is," Strong says. "He's a really special person, and I'm not surprised at all that he's handled this awful, horrible nightmare with triumph, passion, and strength." Strong did also offer some teases about what's coming up on Empire for the rest of the season, including "a lot of great twists and turns," especially about that someone in a coffin. "I think it's going to be a really surprising, powerful end to the season." Empire airs on Fox and will return this spring for the back half of season five.